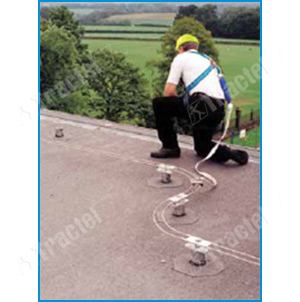 TRAVSAFE horizontal lifelines are engineered and designed as a complete hands free fall protection system used on buildings where there are no parapets or in industrial environments where a fall hazard exists. The dual cable system permits the traveler to operate hands free while staying continuously engaged for the entire length of the system. Entry and exit point options are available which permit the operator to easily enter the system anywhere along the line as required. The Travsafe permanent horizontal lifeline system is an engineered product and requires a specific quote on each project. For further information, please contact us for a customized quote. Tractel Aerial Lift Kits are Lightweight Harness and Shock-Absorbing Lanyard and 3/4 in snap hook. 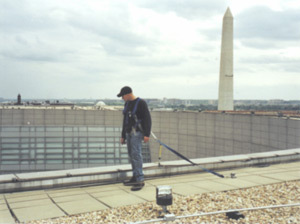 The Self Retracting Lanyard is designed to be used as a connecting device in a personal fall arrest system.